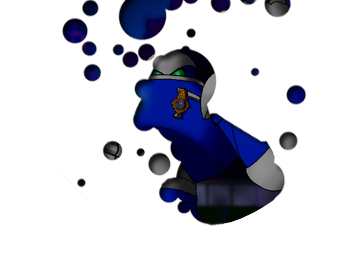 After Mega Man 3, the Robot Masters joined the Robot Police Department to fight crime and injustice as ... the Mechanical Maniacs! The Maniacs have had many adventures, including a world war orchestrated by the interdimensional villain known as General Cutman and the master of illusions, Mesmerman. Together they tried to exterminate the human race through the forces of the Scissor Army. It took nearly every robot and inventor of their time to take these villains down and put an end to their mad scheme. It's been many years since then and the world has changed. Doctors Wily and Cossack have died and Dr. Light and Megaman are in peaceful retirement. The other Robot Masters have gone underground. 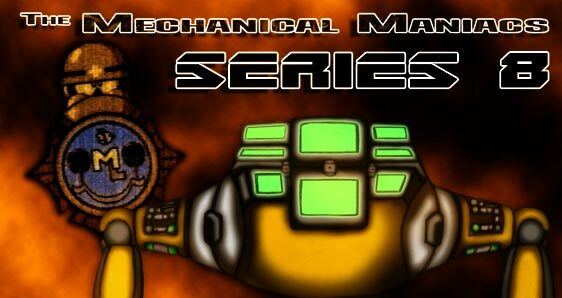 However, after the re-emergence of the Mechanical Maniacs they have been slowly resurfacing, as have the Scissor Army operating without direction from either a deceased General Cutman or a newly revived Mesmerman. The Mechanical Maniacs themselves have not remained unscathed. After surviving a long-awaited revenge scheme set in motion years ago by their rivals the Mega Man 3 PC team, the Sinister Six, they are under even tighter control by the chief of police, Crorq, thanks to a desperate deal struck by Spark Chan. His first act was to dismiss longtime members Hadrian and Kenta. Now, with only 6 members, the team chafes even more under the control of the gluttonous supercomputer.